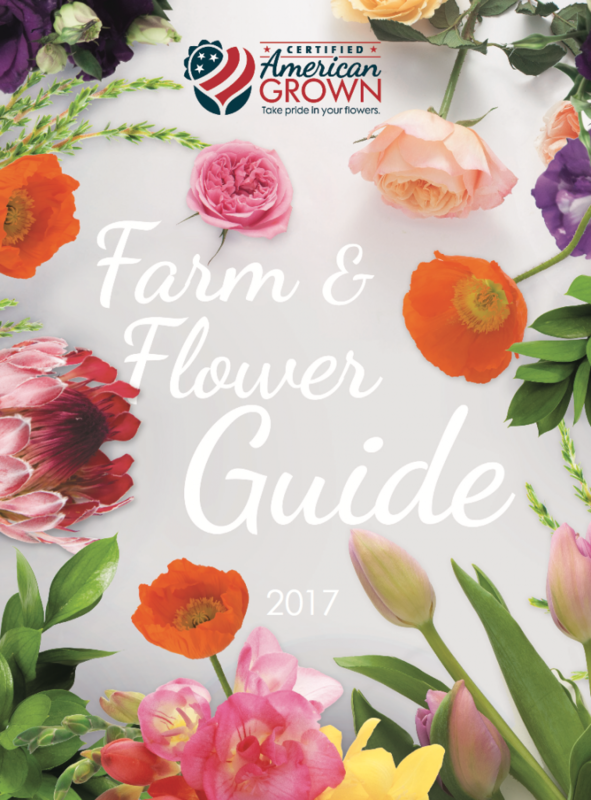 Certified American Grown recently published its first “Farm & Flower Guide” in collaboration with Florists’ Review. The publication includes Certified American Grown farm profiles, a botanical directory and a national directory of American flower farms. Distributed in a special polybagged edition of Florists’ Review and SuperFloral magazines, the guide’s purpose is to be a resource for the industry as momentum for American Grown Flowers continues to grow and provide opportunities to grow and expand business through this trend. 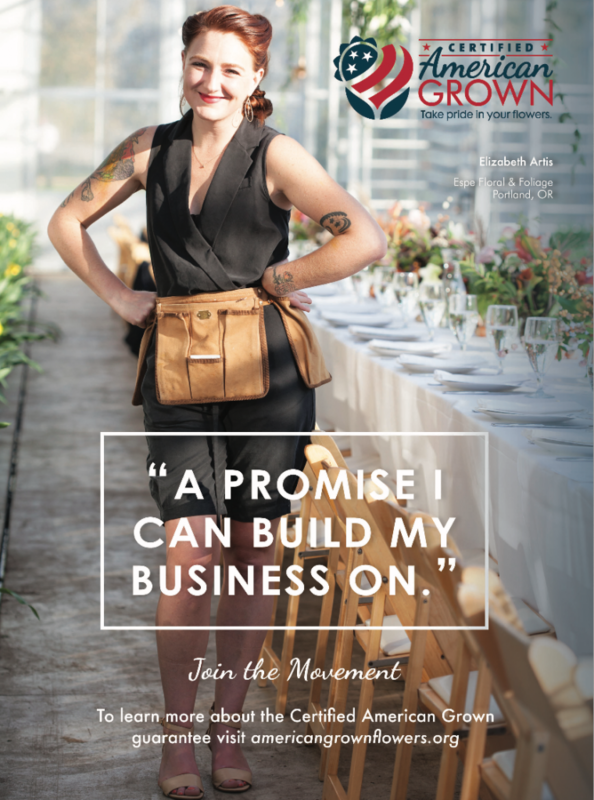 Designer Elizabeth Artis of Espe Floral & Foliage is featured in an ad highlighting her support for Certified American Grown Flowers. If you’d like a copy of the new farm guide, contact Andrea at Andrea@AmericanGrownFlowers.org.